Derek Wood has many years of experience of domestic and international arbitrations. As a member of Falcon Chambers he has practised in all areas of property law both as advocate and arbitrator. He was elected a Fellow of the Chartered Institute of Arbitrators (CIArb) in 1993 and was appointed a Chartered Arbitrator in 2013. He is a member of the President’s Property Dispute Resolution Panel. He has been appointed as a sole arbitrator in one-off arbitrations and as President/Chairman and party-appointed arbitrator in ICC and LCIA arbitrations. His current commitments include serving as a party-appointed arbitrator in an ICC arbitration in Delhi, India. He is a contributing author to the Handbook of Arbitration Practice (4th Edn 2003). 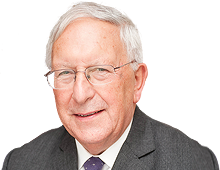 He was appointed a Queen’s Counsel in 1978 and has sat as a Recorder and Deputy High Court Judge. He is a bencher of the Middle Temple (Treasurer 2006) and is currently its Director of Advocacy. During 2013 he ran training courses in London and Dubai for the CIArb on the technique of conducting international arbitrations and delivered training courses for advocates in international arbitrations in London, Basel and Dubai. He has served as a member of various Government advisory committees, including its former Property Advisory Group, and he chaired Expert Committees on the Rating of Plant and Machinery 1991-1992 and 1996-1998. Between 1986 and 1994 he was Chairman of the Government’s Standing Advisory Committee on Trunk Road Assessment. He also chaired the property industry's working party on the Code of Practice for Commercial Property Leases in England and Wales 1995-1996. In 1995 he was awarded the CBE for services to property law. He was elected as an Honorary Fellow of the Central Association of Agricultural Valuers (1988); and an Honorary Member of the Royal Institution of Chartered Surveyors (1991) and he has served as a Member of the International Governing Council of the RICS (2003-6); He is a former Chairman of the Anglo-American Real Property Institute and has served as Chairman and Vice-President of the Agricultural Law Association.